Set in the stunning countryside of the West Midlands the Forest of Arden Hotel and Country Club is the ideal place to relax and enjoy this 4* hotel’s services. 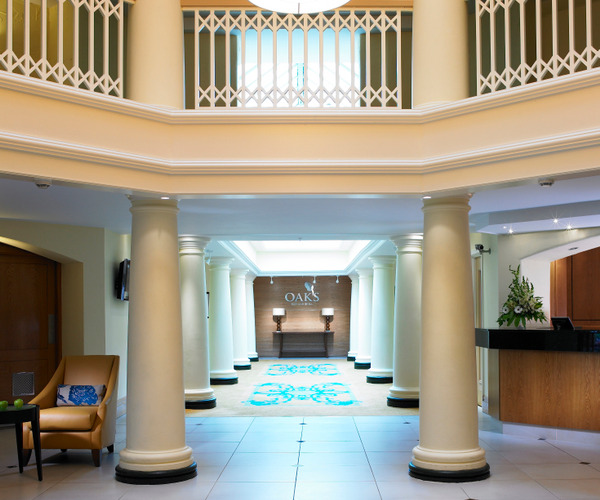 The hotel is four miles from the National Exhibition centre, Birmingham airport and Birmingham International train station, with good road links to the M6, M42 and the M1. There are a range of facilities available including outdoor tennis courts, a fitness centre, an indoor pool and a relaxing spa. The two golf courses make it one of the top golf resorts in the country and have hosted many major golfing events.Cedarwood Spa has a selection of treatments available and is the perfect place to unwind for a weekend. The hotel has two extremely popular restaurants, one for formal dining and one for a more casual experience. The Cedarwood Spa offers a fantastic range of relaxation treatments in stunning surroundings. Fully qualified beauty therapists ensure that you have the very best experience at the spa whichever treatment you opt for. There are make-up services available which are the ideal way to prepare for a night out or a big event, couple’s massages which will complete any romantic weekend away or relaxing facials and body wraps. The sauna and steam room are a great way to finish a work out or relax after enjoying a game of tennis. The hotel’s fitness centre has a well-equipped fitness centre and state of the art cardiovascular equipment. There are also complimentary fitness classes available as well as an indoor pool and a whirlpool. There are swimming lessons and personal trainers available to help you make the most of the extensive facilities. The hotel also offers fly-fishing, a fitness trail, mountain biking, a nature preserve trail, table tennis and tennis. In addition to the stunning Cedarwood Spa there is a beauty shop where you can purchase products used in the many treatments which they offer. There are two fantastic golf courses to choose from making it one of Britain’s top golf resorts, there are lessons available for all levels of skill. There are a selection of rooms available, all of which have pretty interiors with Egyptian cotton bedding to ensure that your stay is luxurious and comfortable. All of the rooms benefit from complimentary use of the health club including use of the pool, sauna, steam room and gym. You can enjoy the use of a flat screen TV with pay per view films and Freeview. The executive rooms have a stunning view of the golf course and hotel grounds. 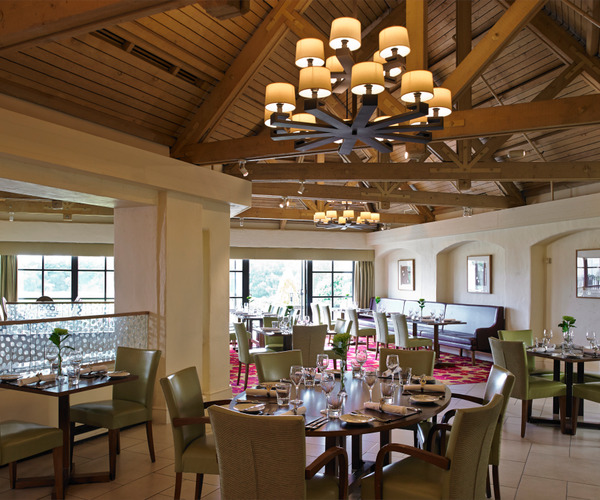 The Forest of Arden Hotel and Country Club have two delicious restaurants to choose from. Oaks Bar and Grill is an award winning restaurant which serves international cuisine in a luxurious setting. Bookings are required and no jeans or trainers are allowed, the restaurant is open for breakfast, lunch and dinner. The second restaurant, Zest Restaurant is a more casual affair and is open for breakfast, lunch and dinner and you can opt to sit on the terrace if the weather permits.